Tutubi's been receiving quite a number of inquiries from Muslim visitors due to some of his posts on mosques and halal food in Manila. This time, he received inquiries for halal restaurants in Tagaytay to which he didn't have a ready answer. Research initially pointed to several Tagaytay restaurants serving halal food but he went to check them out himself to validate. Where to find halal food in Tagaytay? Bad news: Tutubi found out the two supposedly halal restaurants were closed. Andanita Taj is moving to a new site but the published email address and contact numbers posted on their official website did not answer Tutubi's queries. Mehren Snack Inn is currently closed too, there's a new building being built on the site pointed on OpenStreetMap but no other information can be found. As a fallback, Tutubi was just able to buy buko pie without lard sold at Picnic Grove to be not haram (forbidden) for his Muslim friends. The Original Buko Pie uses lard so it's out of the question. There's also cassava cake which uses cassava, cheese, milk, and coconut milk. 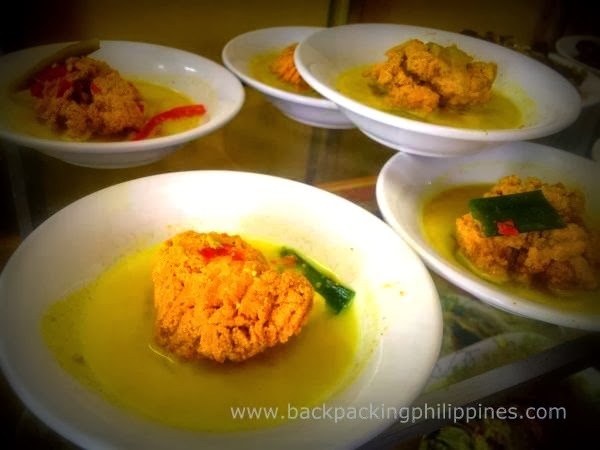 For Muslim tourists and travelers going to Tagaytay, better bring your own food as there's no such thing as halal bulalo in Tagaytay (perhaps Tutubi will open one but he needs a Muslim butcher and cook for bulalo to be certified halal). This post will be updated once updated and confirmed information on halal restaurants in Tagaytay is found. Hi Tutubi, we'll be having malaysian visitors in our company here in laguna & they require halal food. I thought im relieved to find the 2 halal restaurant in tagaytay where I can buy food for my visitors but so saddened to found out that it is closed already as mentioned on this blog. Anyway, can you help me understand further the "halal" food requirement. I was told that halal only applies on meat. But if certian dish like vegetable salad is present, it doesnt need to be "halal" to be eaten by a muslim. Is this right? Because I was also told that halal food can only be called halal if all the ingredients even the condiments used were halal certified. Hope you can help me as i dont want to disappoint our upcoming guest. Thanks! Hi Tutubi, we'll be having malaysian visitors in our company here in laguna & they require halal food. I thought im relieved to find the 2 halal restaurant in tagaytay where I can buy food to my visitors but so saddened to found out that it is closed already as mentioned on this blog. Anyway, can you help me understand further the "halal" food requirement. I was told that halal only applies on meat. But if certian dish like vegetable salad is present, it doesnt need to be "halal" to be eaten by a muslim. Is this right? Because I was also told that halal food can only be called halal if all the ingredients even the condiments used were halal certified. Hope you can help me as i dont want to disappoint our upcoming guest. Thanks!